Product #18537 | SKU PWR-BP-AC7 | 0.0 (no ratings yet) Thanks for your rating! 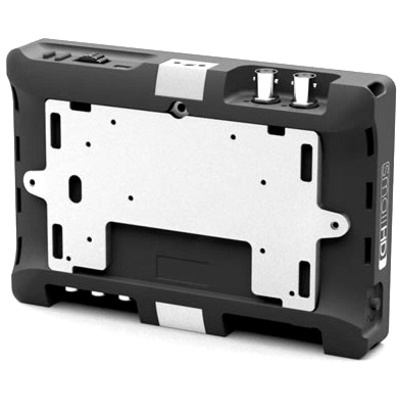 Add a battery plate to your AC7 monitor with the SmallHD AC7 Battery Plate Mounting Bracket. Several mounting points provide facilities to mount big plates for V-Mount and Gold Mount batteries, as well as smaller DP6 plates for DSLR and camcorder batteries. Marshall DV brackets are supported as well if switching hardware brands.